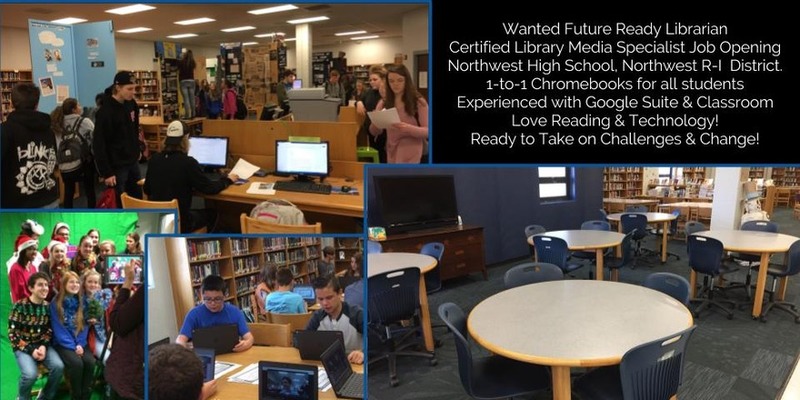 Busy year changing up the library space with more changes coming next year at Northwest High School. My co-librarian Kim Hornkohl moved in this year and has worked hard to start changing the library space. It's been a great time to work with her and watch ideas grow into real spaces and programs. 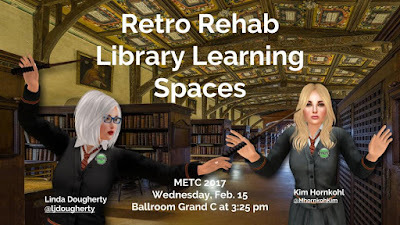 To show what has been going on and future plans check out our recent METC presentation from this past week. I'm moving on to new challenges since I'm officially retiring at the end of this school year. If anyone is interested in working at a great high school in the suburban area just south of St. Louis County, please apply online. I'm not heading to the beach next year. I'm already signed up to facilitate Education Plus Library Media Specialist (LMS) Academy (2016-2017 calendar shown)for next fall. Looking forward to meeting new librarians and working with them to expand their professional careers.